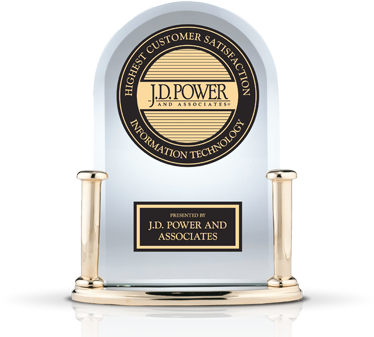 JD Power & Associates (JDPA) has been a leader in Information Services for generations. In recent years, several emerging technology companies have been encroaching in their market and the JD Power executive team knew it was time to fight back. They designed a digital product, “VoX,” to give even more customers faster access to better data. Their engineering team grew quickly and soon faced process, quality and velocity challenges. The system was undocumented, velocity was behind their aggressive target and customers were lining up to utilize a product that wasn’t ready to ship. That’s when their CTO, Jonathan Miller, reached out directly to SVSG. To hit scheduled user delivery dates which were little more than a quarter away, JDPA engineering bandwidth and velocity needed to be increased. JDPA knew this would require bringing in new, talented tech leaders and engineers into the organization who could identify opportunities to introduce best-practices and implement them while helping the existing team members stay positive and productive. VoX’s product offering still needed to reach parity with their competitor’s and it was key for them to be able to continually formulate product differentiation to stay ahead of the pack. Reaching these goals would require a restructuring of the entire engineering team from VP of Engineering down and it was clear that this restructure needed to be done in a cost effective manner to fit within the CFO’s standards of acceptability – namely a 10% savings on current operating costs. SVSG CTOs Michael Beck and Gil Edelman went on-site to JDPA’s Southern California Headquarters to kick off a one-month audit of the organization’s current engineering organization. During that time, SVSG benchmarked the JDPA’s cost per point efficiency in terms of engineering output to establish a clear baseline for future comparison. SVSG CTOs then interfaced with JDPA’s customer base to help drive product requirements in order to develop a product roadmap and associated team structure that could help bring product backlog to market faster. With a clear understanding of the scope of the challenge ahead and the types of technologists required to solve it, within five weeks, Gil and Michael interviewed and approved 14 world-class engineers from SVSG’s own engineering ranks to join the project. Over the coming months, Michael and Gil implemented new process to reduce time loss due to departmental interdependencies, specifically between product, marketing and engineering. Scrum team sizes were also reduced to enable the JDPA employees to be more productive on multiple product tracks at the same time. Continuous integration was then introduced to reduce regression cycles from a quarterly release schedule to a monthly release schedule, resulting in continuously cleaner, faster updates.